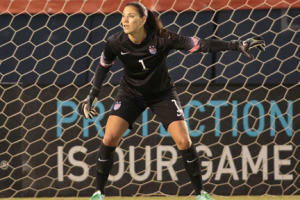 U.S. Soccer Women's National Team Returns to Tampa Bay! U.S. Soccer Women&apos;s National Team Returns to Tampa Bay! More great news coming out of Tampa Bay as U.S. Soccer recently announced that Raymond James Stadium will host a friendly between the U.S. Soccer Women’s National Team and France on June 14 at 7:30 p.m. This is only the second appearance for the women inside Raymond James, defeating the Korea Republic back in 2008 during the team’s post-Olympic Tour. It is, however, the sixth time the U.S. WNT have come into our Tampa Bay community, where they have compiled an impressive overall record. The intrigue of the match only grows as the two squads come into the June showdown ranked in the top-five in the latest FIFA World Rankings. In total, the U.S. WNT holds a 13-0-1 all-time record against France. To help improve that record, we’re counting on the Tampa Bay community to come out and support the women onto victory! Let’s leave a lasting mark in the soccer world, and show why the Tampa Bay soccer scene is at an all-time high! For more updates on the match, please stay up-to-date on Twitter @ussoccer_wnt and @SportsTampaBay. Also, be sure to follow the sports commission on Facebook, Instagram and. YouTube.